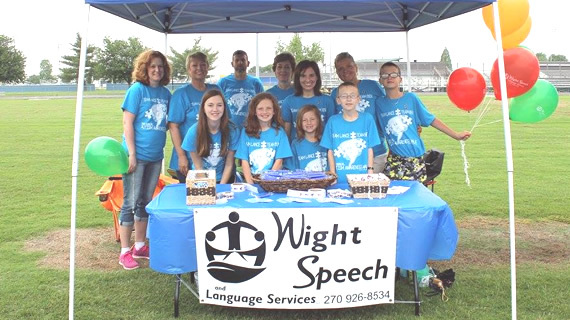 Wight Speech and Language Services LLC is a community based private practice established in 1989. We are committed to professional assessment and treatment of a wide variety of speech, language, swallowing and social communication disorders for both Children and Adults. Our mission is to assist toddlers, children, and adolescents gain improved self confidence and independence through developing excellent communication abilities for all daily environments. All major insurances are accepted including medicaid and medicaid MCOs. We offer discounted rates for patients whose insurance does not cover speech therapy services. We are licensed and ASHA certified speech language pathologists with years of clinical experience. Concerned about your child's speech development? Call our specialists to arrange for an evaluation. Our treatment programs are tailored for your child's specific communication needs. We make learning FUN! We started seeing Theresa Castlen at the start of 2016. My son was 2 1/2 and would only say small words such as Mama and Dada. He also choked on his food everyday so we were worried he had a speech delay. Theresa has worked with him every week for the past year and my son I am excited to say now speaks in full sentences. People other then family members can now understand him and he is able to make friends when visiting the park. She has done an amazing job helping him figure out how to use his tongue properly so as to limit choking on food and making correct letter sounds. My son will continue to see Theresa until we are all confident in his abilities to communicate. We are very thankful for finding her! At the age of 3 years, my daughter had very limited ability to communicate with anyone, except her 5 year old sister who seemed to know this 3 year old's lanquage. My wife and I took our 3 year old to a specialist who dismissed our concerns and said she would be fine. We were very disappointed with this specialist's conclusion. We learned of Karen Wight and took our daughter to her for an evaluation. Karen concluded that she had developmental apraxia. We began about 5 years worth of 3 times a week speech therapy and were absolutely overjoyed with the tremendous improvement in verbal skills our daughter learned. Karen assigned daily "homework" from the very beginning letting us know that this would be a tough journey, but that this was definitely something that could be overcome so that our daughter could have the "normal" verbal communication skills that most young people enjoy. After about 5 years, Karen released our now 8 year old daughter and we had the summer off. Then we took our 5 year old son (who was not nearly as bad as his sister, but still needed help) to Karen for some months. When our daughter got into middle school, we noticed some "slippage" in her speech and took her back to Karen. She agreed to take her back, but after about 2 months, noticing that my daughter was no longer willing to do her "homework", Karen met with Dad and daughter and advised that Karen could no longer take our money as no good was coming from it. That daughter was unwilling to work on improvement each evening, then no good was coming from our meetings at the office. I know I am wordy on this, but I wanted all reading it to know just how good Karen is. And how honest and committed she is to each child and each family who seeks her out in her capacity as a speech therapist.